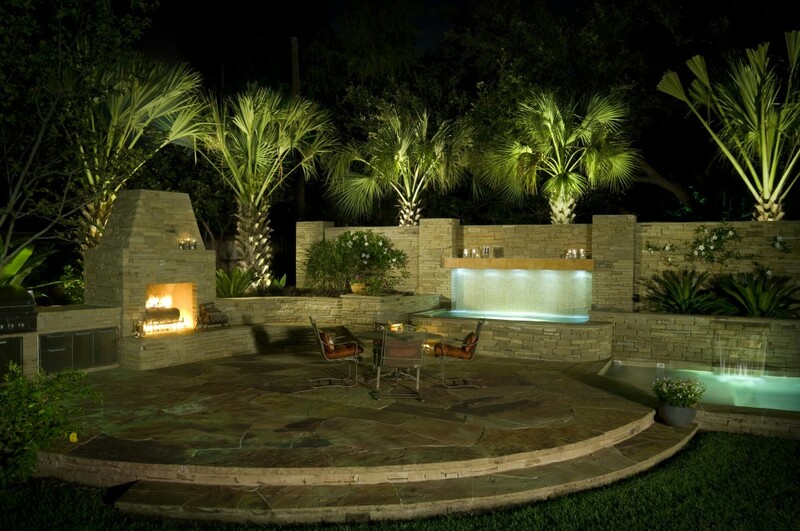 Ten foot tall Oklahoma ledgestone walls enshroud the multiple water features on this project. At one end of the pool, the raised spa is tucked between stone columns with a cantilevered plant ledge, complete with LED lighting behind a 10' long rain curtain. The pool is flanked on either end with sheer descent waterfall tall vertical channels of glass tile.